The Turkish businessman, who has been in solitary confinement for a year at the Silivri high security prison in Istanbul, has still not been indicted. A legalist, he continues to believe in the justice of his country.
" Why ? Is the question that was shouted to the Turkish authorities by a small group of intellectuals gathered in front of the Silivri high security prison in the far outskirts of Istanbul, Saturday, November 3. 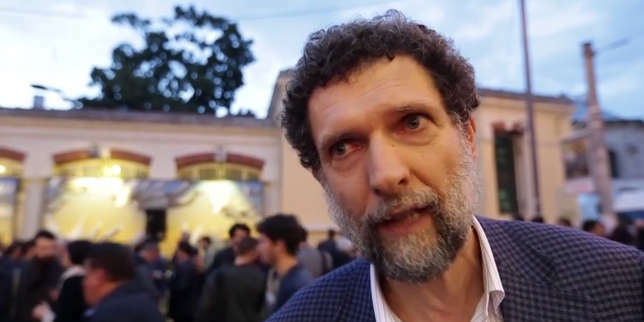 Why is the businessman and patron Osman Kavala locked up for more than a year in solitary confinement without charge? The only time the accused saw a judge was on November 1, 2017, two weeks after his arrest, when he was placed in pre-trial detention. According to the articles of the penal code cited on his arrest warrant, he tried to "change the constitutional order" and "overthrow the government" by "force or violence" . More concretely, the Turkish justice suspects him of having dipped in the coup attempt of July 15, 2016 and to have financed the anti-government protests of spring 2013 in the Gezi Park in the center of Istanbul. There is nothing to date to support these charges, which are punishable by life imprisonment. Especially not the judicial institution, unable, after twelve months of instruction, to provide any proof of his guilt. "One year of investigation and the judge has nothing, the case is empty," summarized Köksal Bayraktar, one of Kavala's advice, at a press conference held in Istanbul on October 31. The lawyers are all the more puzzled that they have never seen the color of the indictment. All their queries collide with a wall. The door of the magistrate instructor is closed to them, access to the file is forbidden to them, requests for release, more than twenty in all, were rejected. "We are like Don Quixote when he fights windmills, we do not know who we are facing , " said Bayraktar.